All Photos by Ruthie Darling for Bushwick Daily. 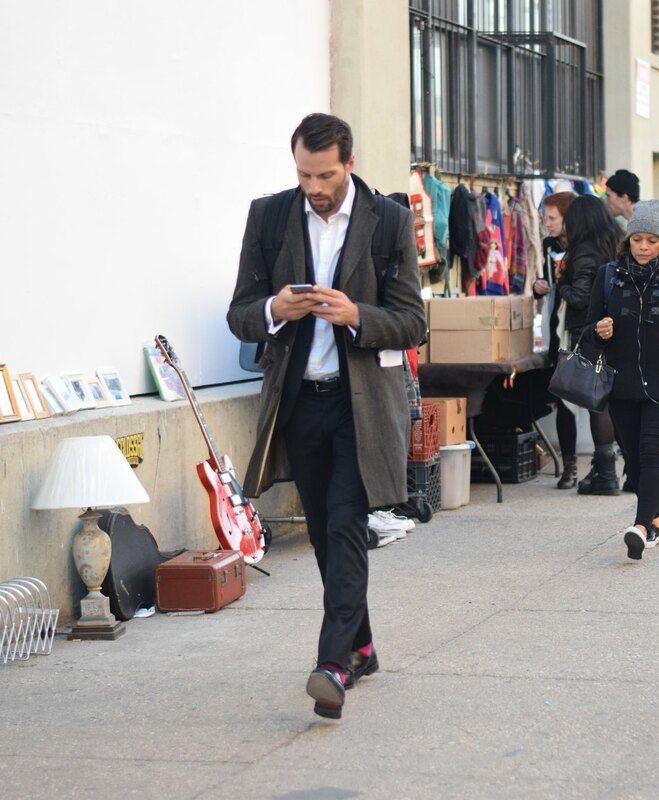 It may be Spring, but this past week's roller coaster weather is forcing Bushwick fashionistas back into their winter cocoons. 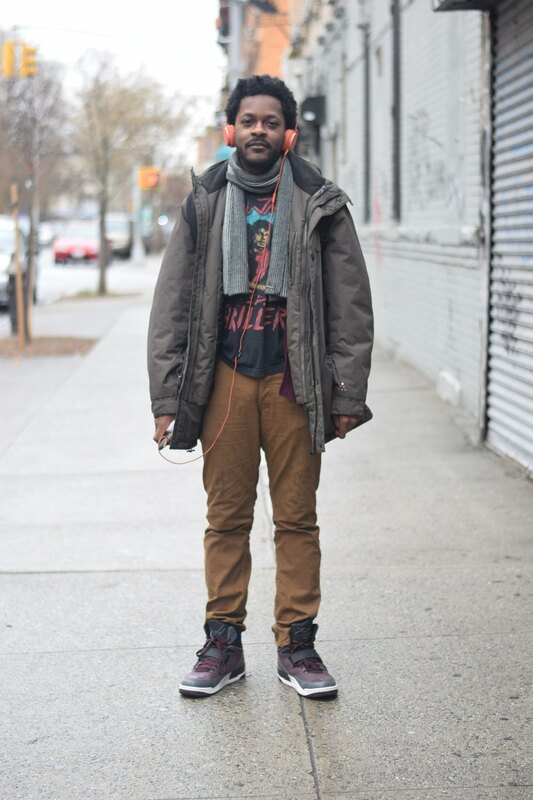 Black has always been the sartorial hue of choice for New Yorkers, and that was certainly evident on the streets of Bushwick this week. However, like springtime flowers emerging through cracks in the sidewalk, we witnessed pops of muted colors beginning to appear among accessories (and in even choice of hair color!). As always, a punk, even goth, influence is ever present in the neighborhood's fashion choices. 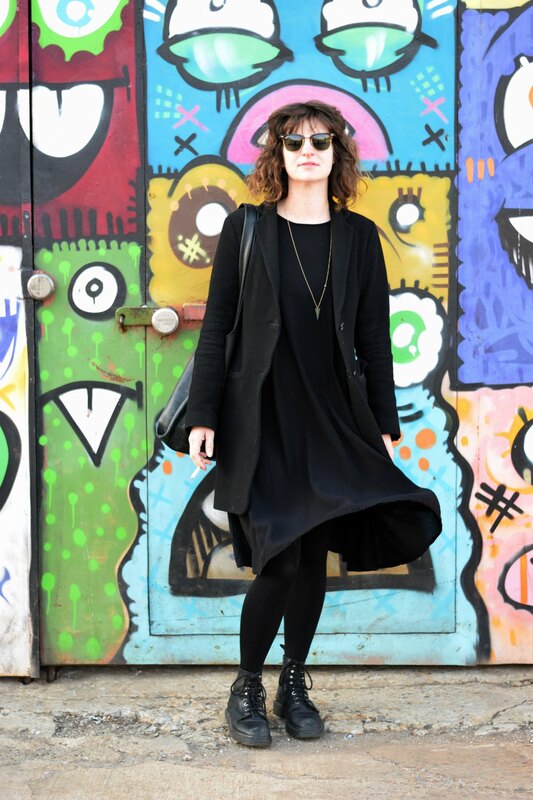 Here are some Bushwick fashionistas rocking beautifully contemporary looks. And here are those some pops of color, including pink socks, headphones and hair! Add your goth accessories and you are good to go! The streets are our catwalks, darlings! 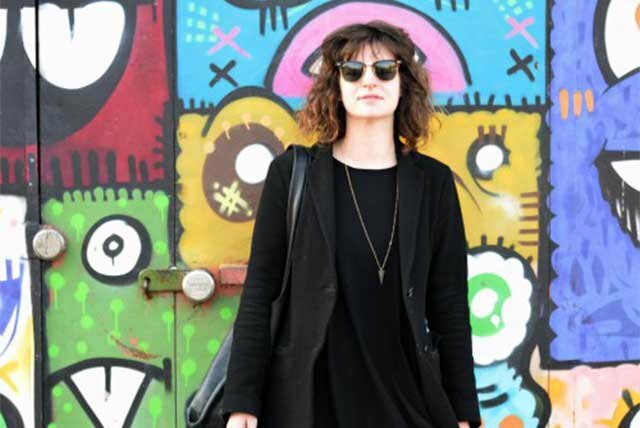 If you're rocking some fabulous Bushwick style, maybe you'll be featured on next week's post! Check out more Ruthie Darling Fashion here.